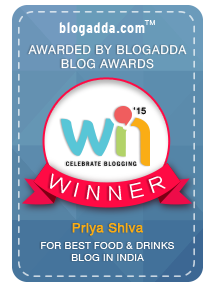 I recently attended a bloggers meet conducted by Danone at Bangalore. Danone is a world leader in food industry and dedicated to achieve health through food. Their products is divided into 4 categories – Fresh dairy products, water, early life nutrition and medical nutrition. 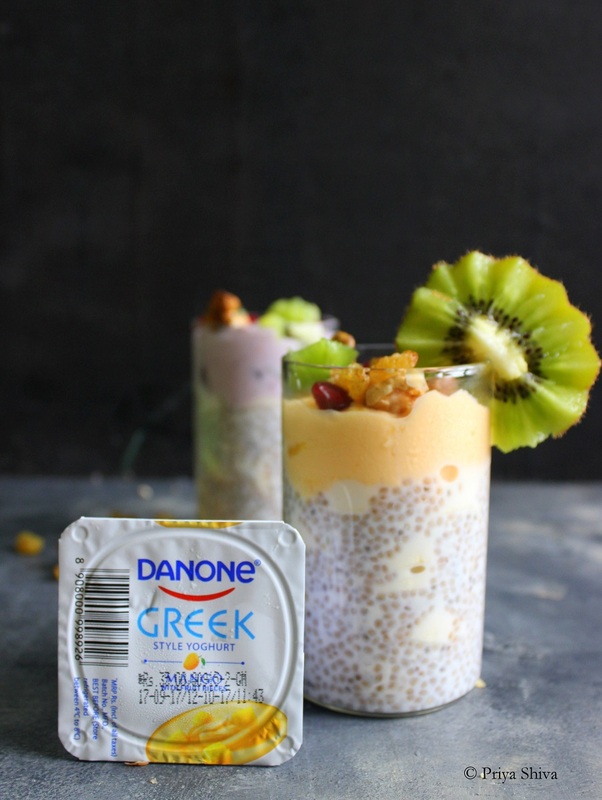 I prepared Yoghurt Chia Seed Fruit Parfait with Danone blueberry and mango Greek Style Yoghurt for breakfast and my family loved it! We were welcomed at the bloggers meet by Shefali Sapra who is the Director of Corporate Affairs at Danone. She gave a brief introduction about the company’s vision and products. She also talked about Danone Greek Style Yoghurt and the other flavors which they are soon going to launch in the market. It was followed by a presentation by Dr. Madhavi Marathe, the senior nutritionist at Danone. Dr. Madhavi spoke about healthy eating and how we can make The Healthy Swap by eating yoghurt and avoiding fried food. She informed us that Danone Plain Yoghurt has 87% more protein than regular yoghurt. There is no added sugar and low in fat too! 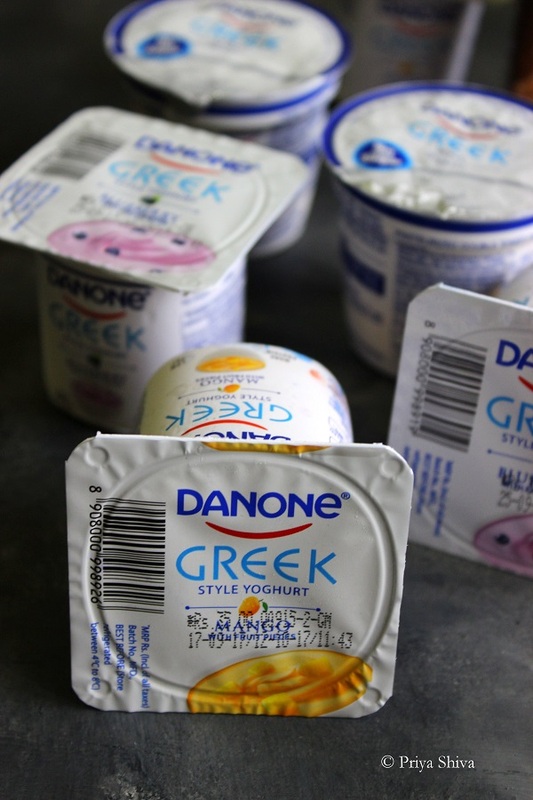 Danone Greek style Yoghurt comes in three flavors: Blueberry, Mango and Strawberry. 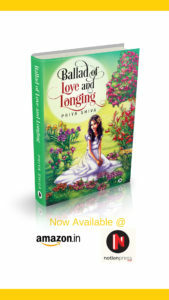 They are soon going to launch Lychee and Peach flavors too. We also enjoyed a session with Chef Abhijit Saha who demonstrated four healthy recipes which can be prepared using Danone Greek Style Yoghurt. 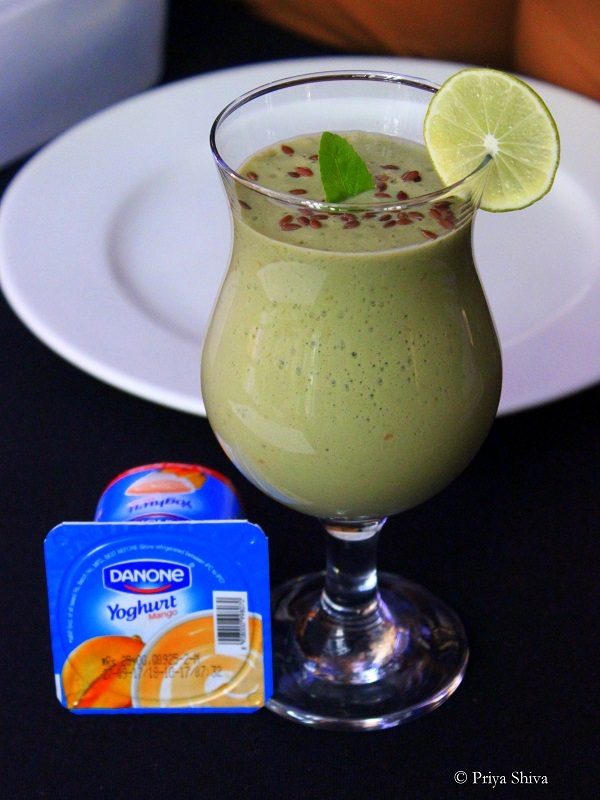 Danone yoghurt can be used in smoothies, soup or even desserts. 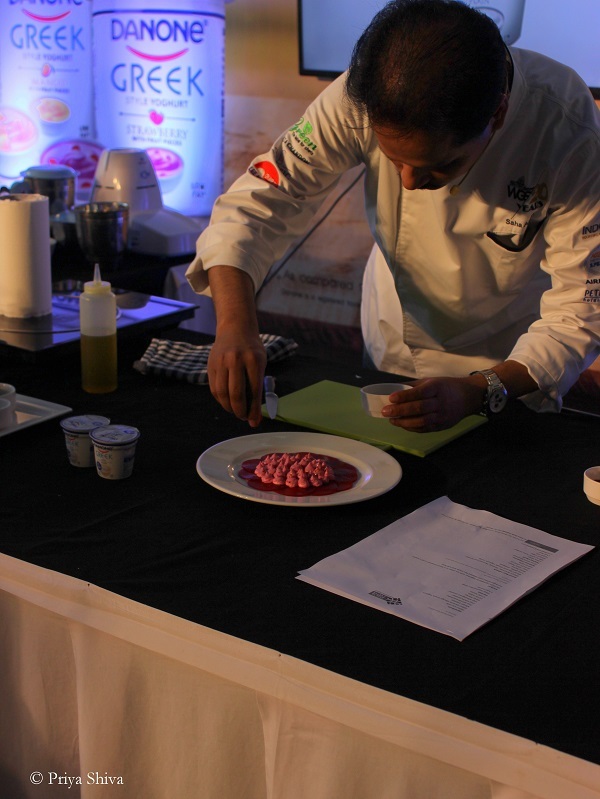 Some of the dishes which he showcased were Superfood smoothie, Spiced beetroot labneh with lavosh, Mango yoghurt and ginger explosion.. So, are you ready for The Healthy Swap? I’m planning to make this swap by eating Danone Greek style Yoghurt for those hunger pangs even in the middle of the meals. 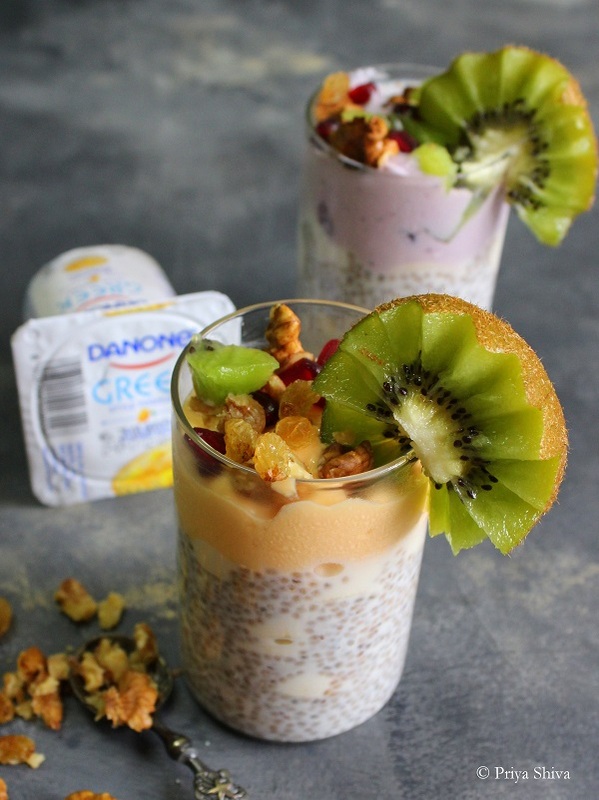 I can think of making this Danone Yoghurt Chia Seed Fruit Parfait for breakfast and make The Healthy Swap for my whole family. 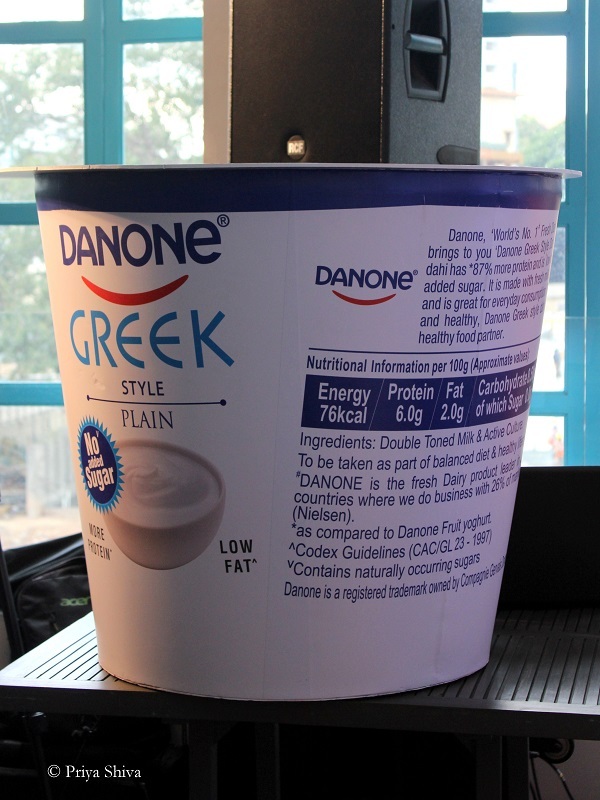 Click here to check out more information about Danone products and I’m sure you will love their Greek Style Yoghurt too! Boil Milk in a sauce pan and add chia seeds to it. Lower the flame and keep stirring for few minutes till chia seeds get fluffy and soft. Take 2 serving glasses. Divide the cooked chia seeds in each glass equally. Add chopped bananas and 1 scoop of Danone yoghurt. top each glass with walnuts, pomegranate seeds, raisins, kiwi and serve!